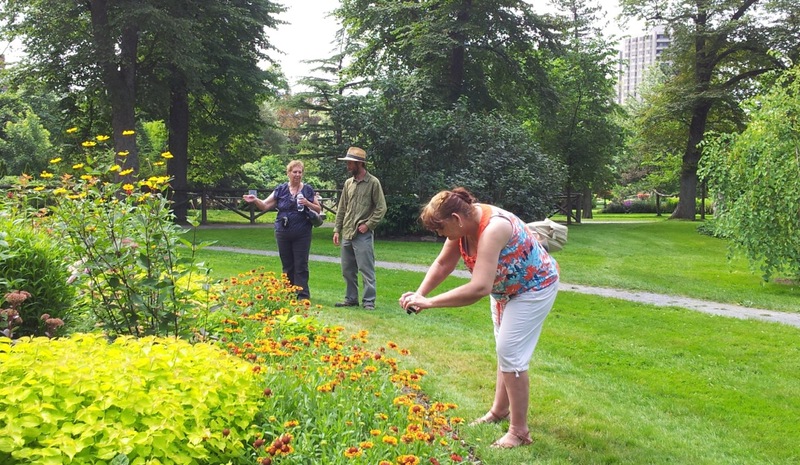 The Gardens opened last Thursday for the 2014 season. I’d meant to do the review as my closing blog of 2013. Unfortunately life decided to throw me a curveball so my normal activities were put on hold. I am happy to report that I can now resume the mundane (not that posting this blog is mundane) tasks in my life with renewed relish. There were several new trees planted in the Gardens in 2013 year. Amongst them was a replacement for a dead Hawthorn by Griffins pond, two other trees (the spiral Junipers by the main Dahlia bed) were moved from the greenhouse area of the Gardens, and a new one was planted on the path between the Upper Bridge and the Main Gates, though it’s type escapes me at the moment. 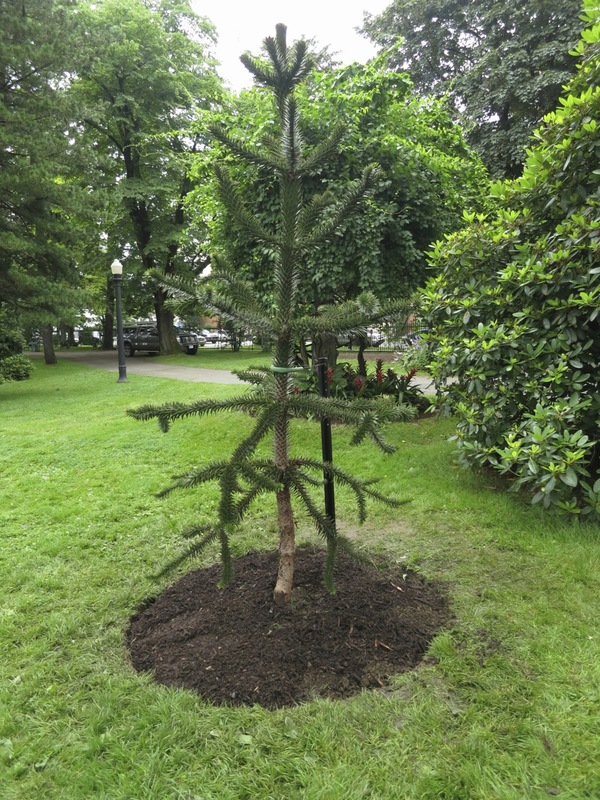 The most exciting addition is the Monkey puzzle tree (Araucaria araucana), so-called because on looking at a specimen, an Englishman commented that a monkey would be puzzled trying to climbing that tree. This species was very popular in Victorian gardens. It is tucked in a sheltered corner (diagonally across from the Gardeners shed), to give it the best micro climate and increase its survivability . It prefers the cool, mild and humid climates of its Chilean origins. We have the cool and moist part down. The Friends published a new edition of it’s very informative and beautifully illustrated book (I thought so even before I joined the board). It also updated its tree map which is included in the book as well as being available as a new Pocket Guide. 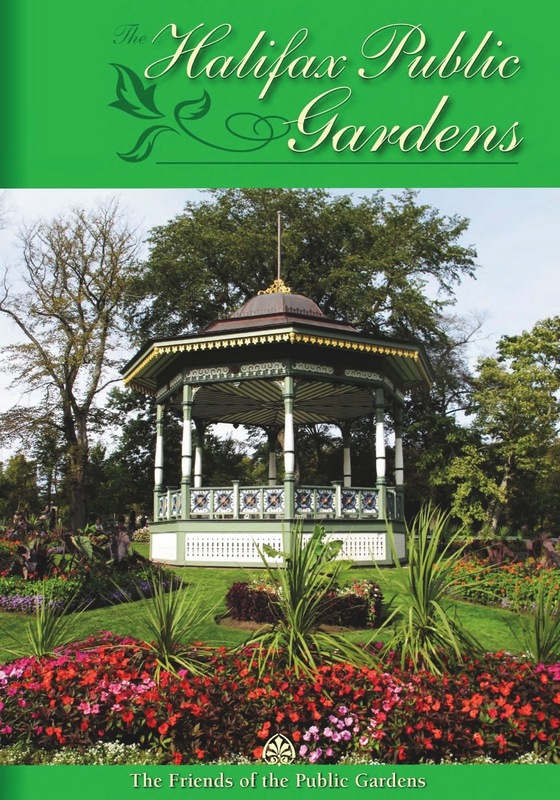 One side of the Pocket Guide contains the tree map and the other side is an information packed guide to all the main features of the Gardens. Both can be bought at the Uncommon Grounds Cafe, at the Bookmark book store or online. Notice anything missing last year? 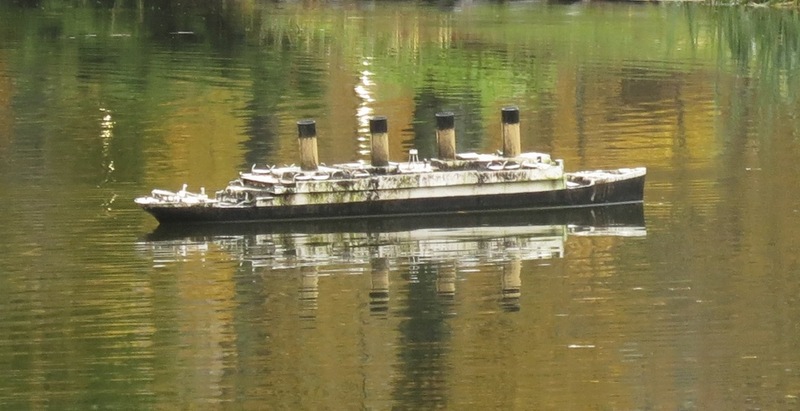 A favourite feature of the Gardens, the Titanic model was nowhere to be seen. Clary Peters, the keeper of the Titanic model, had his job cut out. Last time I photographed her, she was looking pretty sad. “The forcastle and masts were missing and the supports for the main deck had rotted away. Clary will be installing new PVC supports and will make a new fo’cstle and masts”. He hopes to deliver the rejuvenated model in late May pending Mother Nature (yeah… her) and the vagaries of the life of a busy volunteer. We had an extra special visitor this fall. One of the gardeners directed me to the lower pond in hopes of seeing a Blue Heron that was visiting. 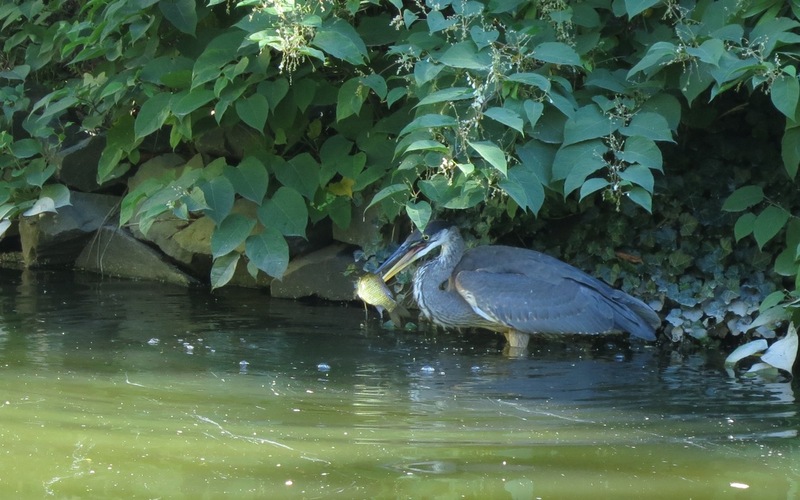 Not only was I successful in finding the Heron but he/she was giving us a fishing demonstration. The Heron was the talk of the town, and hung around for a while. Our depleted fish stocks must have replenished itself. The Tians Crystal Tourism Award of Excellence which was given to the Friends of the Public Gardens on November 26, 2013. 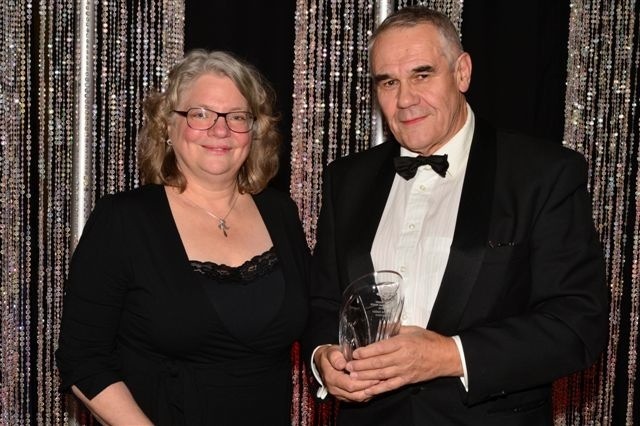 This award was sponsored by Parks Canada and honoured the Friends for its efforts in promoting sustainable tourism in Nova Scotia through its efforts on behalf of the Public Gardens. A first but definitely not a last. The Friends hosted a Victorian Day Tea sponsored by the Lord Nelson Hotel. 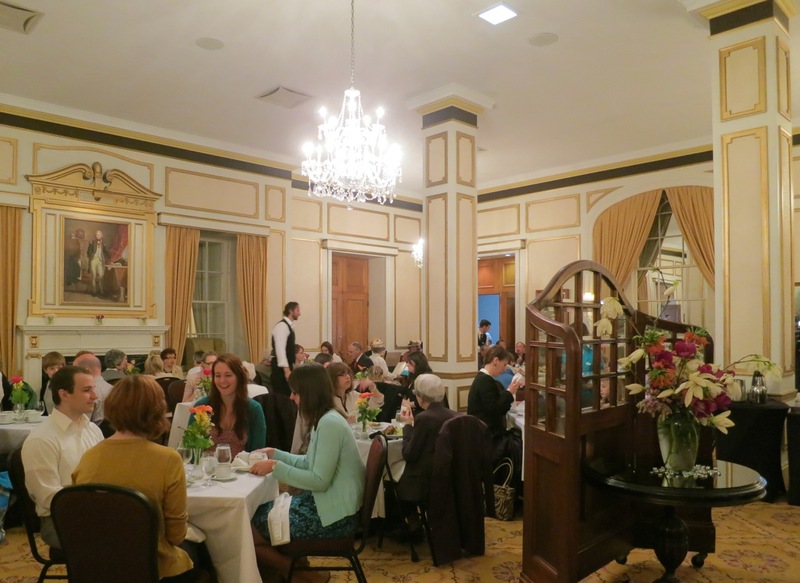 It was a sold-out success… in fact the LN was soooo lovely that they upped the numbers at the last-minute and 200 people (young and old) pinkies out and in their finery, took high tea on a wet Victoria Day weekend. One of the highlights was being serenaded by Hausmusik (who also entertained us at our Holiday Social). This year’s Victoria Day Tea will take place on May 19. Mark it on your calendars! 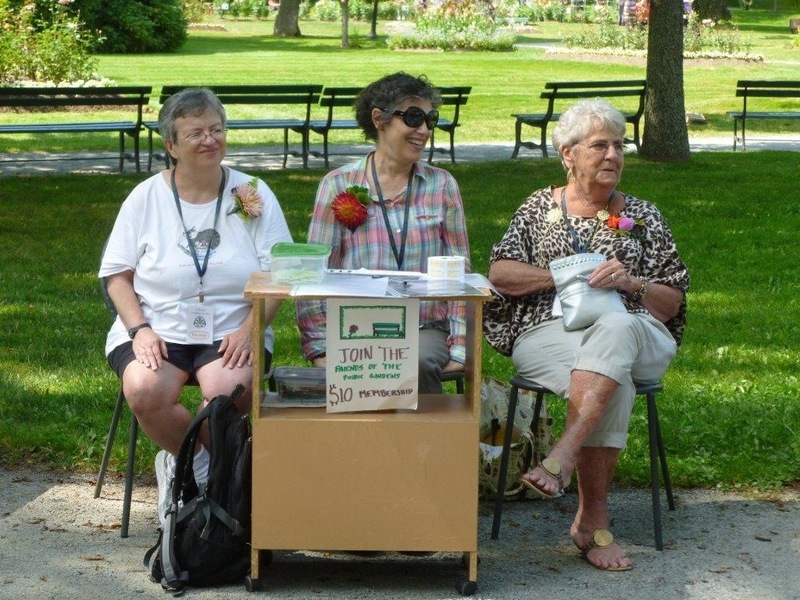 Canada’s 1st Garden Day kick-off, was celebrated at the Public Gardens in true gardening style. Four celebrity gardeners were given the raw materials to create a container masterpiece, and you the public were given the opportunity to vote for your favourite. 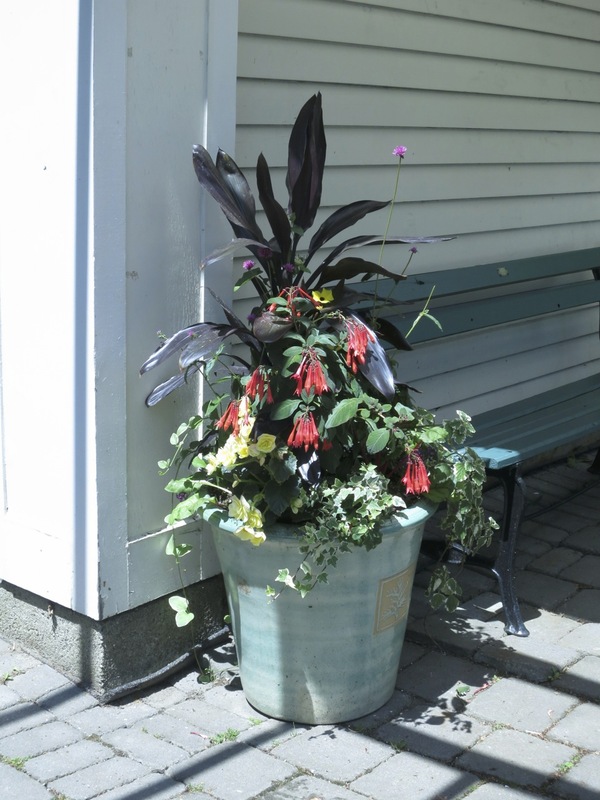 The containers were on display at Horticultural Hall Plaza throughout the summer. This years’ Garden Days will take place from June 13-15. Little did you know but Canada boasts a ‘Garden Route’… and a very lovely one at that! We happen to be part of it. It’s organized by Via Rail and last year they held a contest in which the winner got to pick an all expense paid visit to their garden of choice in Canada. Buchard Gardens? Royal Botanical Gardens? No, Chantal Ouellette, chose the Halifax Public Gardens as the garden she wished to travel to from Quebec. Chantal and her mother stayed at the Lord Nelson and were given a private tour, in French, by one of our talented gardeners. Good choice Chantal! The last phase of the Victoria Jubilee Campaign has been underway, far from prying eyes. The urns (a catalogue find) which normally surround the bandstand, where crumbling and in need of some tender love and care. When they took a closer look, they found the urns made better models than foundations. 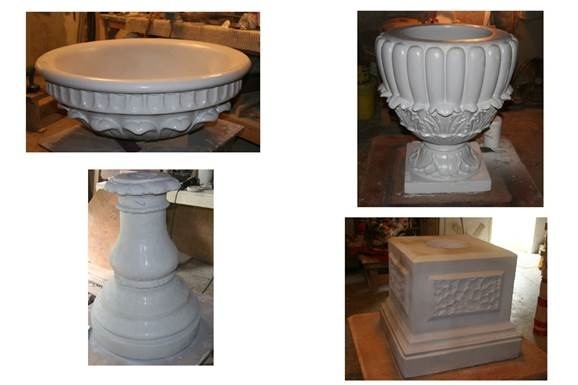 The laborious task of making a form from the originals, then re-pouring them, was undertaken with excellent results. They’ll be back soon and it will mark end of the highly successful Victoria Jubilee Champaign which saw the restoration of the bandstand in 2011, the Victoria Jubilee Fountain in 2012 and the urns in 2014. 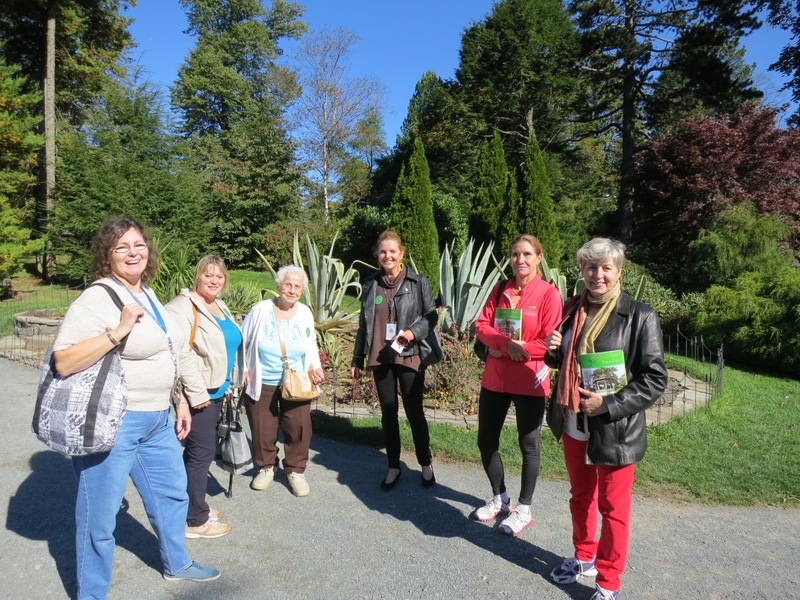 The Friends have been offering free tours of the Gardens for 4 years now, but last year we expanded our timetable. By the end of the season we were leading tours on Sunday and Wednesday evenings, as well as a morning tour. The tours are generally one hour-long (though if you get me as the tour leader is tends to be longer. I’m not known for being the quiet type 🙂 This year we are hoping to offer 4 tour times. Our membership (and volunteer cadre) continues to grow, thanks in large part to the efforts of my fellow board member Jim Dummit. You can generally find Jim at the Gardens several times a week in the back part of the Uncommon Grounds Cafe (the home of the Friends of the Public Gardens) chatting with people and making himself useful in any way he can. Our 345 members all have one thing in common… we are a community of people who value the Public Gardens and are interested in its welfare. We continue to thank you all for helping us, help the Gardens. A special thank you to those who volunteer their time and efforts on its behalf. 14 gardeners and laborers, including full-time (9), seasonal and summer students braved the heat, the damp and the sore backs to bring us the beautiful sights, smells and sounds of summer. As you can imagine they much preferred those hardships to the ones they experienced this very snowy winter keeping our streets clear and safe. Welcome back folks! I look forward to the fruits of your labour. All copy and images copyright © Serena Graham-Dwyer, 2013, Jim Dummit, 2013, Arthur Carter 2013, HRM, 2013. If you wish to use any part or whole of an image, in any manner, please contact us. 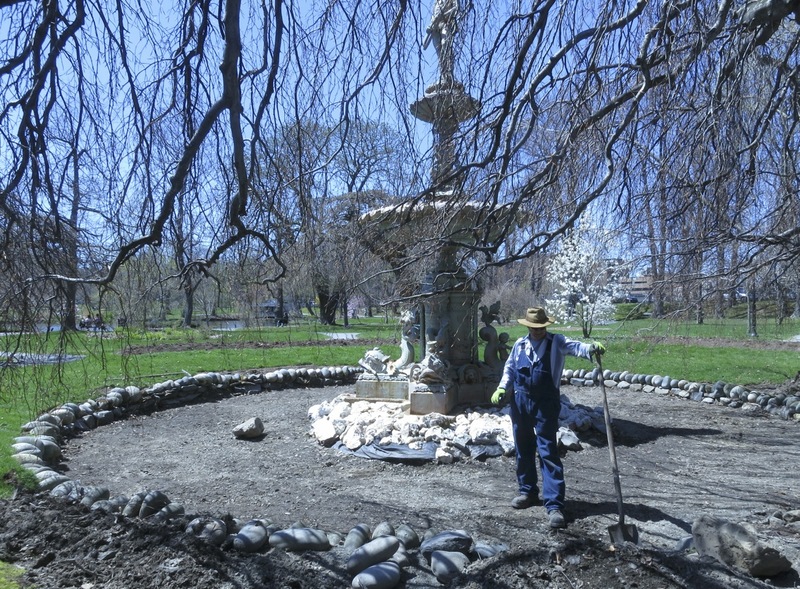 This entry was posted in Halifax Public Gardens, photo tour and tagged Halifax public gardens, Jubilee fountain, waterfowl population by friendsblog5665. Bookmark the permalink. Lovely to have your weekly “garden visit” back! It must be spring finally! It is somewhere 🙂 Thanks for the vote of confidence.